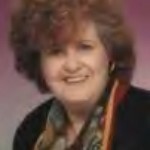 Janet Lane Walters was born in Wilkensburg, Pa July 17, 1936, reported to be the hottest day of the summer. She has been a published author since 1968 beginning with short stories and moving into novels when an editor told her a short story sounded like a synopsis for a novel. In the 197os and 1980s, she published 4 sweet nurse romance novels. Then she returned to school to earn a BS in Nursing and a BA in English. Returning to work as a nurse to help put four children through college she put her writing career on hold. In 1993 she retired from nursing and began writing again. A new nurse romance followed in print. Then she discovered electronic publishing and since 1998 has been electronically published.Janet calls herself an eclectic writer since she moved from genre to genre. There are mysteries featuring Katherine Miller a former nurse who seems to stumble over bodies wherever she goes. Using her interest in Astrology, she ahs several series that use Astrology as a premise for the stories. Once she earned enough money to travel to Ireland by casting charts for people. She has many books in the romance genre, some of them are contemporary and are nurse romance, others fall into the fantasy or paranormal forms of romance. Interested in reincarnation, she has used this as a jumping point for at least two novels. Two of her novels deal with alternate worlds using a love affair with Ancient Egypt.Under her other name J.L. Walters, she has written a YA fantasy series called Affinities. She has also written a non-fiction book when her co-author Jane Toombs that won the EPIC Award in 2003 for best Non-fiction. During her career, she has received other awards and has a number of great reviews.Besides her four adult children, she has seven grandchildren. Five of them are the models for the YA series. The other two arrived too late to play a large role in the series. Four of her grandchildren are bi-racial and 3 are Chinese so the eclectic even invades her family. She has been married to the same man for more than 50 years. He’s a psychiatrist who refuses to cure her obsession for writing.